Seaweed On A Raw Food Diet: Is It Healthy? in their diet fear they may be lacking. But for several reasons, these foods may not be the best choice when it comes to picking healthy greens for your diet. I do not consume them because I think the harm brought on by their toxicity far exceeds whatever good their high nutrient content may bring about. In this article we'll review some of the data I've used to come to that conclusion. 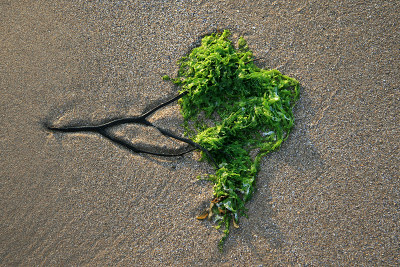 Seaweeds act like sponges, soaking up the ample nutrients found in our oceans. This is why they're so high in a wide variety of healthy minerals. Unfortunately, they're not particularly discriminatory about what they soak up. Over the past 100 years, humans have heavily polluted earth's oceans, dumping in huge quantities of toxic chemicals and heavy metals. Seaweeds soak up many of the heavy metals which are harmful to humans, such as arsenic, cadmium, and lead (2), and if you want to eat them, you'll be taking in these metals too. 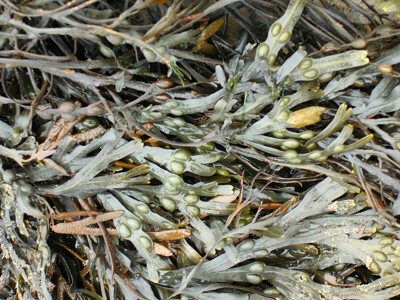 Each individual sea vegetable varies considerably in what it absorbs, and exactly how much it absorbs largely depends on how polluted the water it grew in was. Below I compare the arsenic content of hijiki to a broader assortment of other sea vegetables. Although any type of arsenic is harmful, the inorganic type is considerably worse for us than the organic variety. Since a 70-180 mg dose of inorganic arsenic can kill a human (3), and nonfatal-but-high doses cause fever, vomiting, diarrhea, organ failure, nerve damage, cancer, and other unpleasant side effects, it's something to be concerned about. One panel of experts at the World Health Organization believes that a tolerable weekly intake of inorganic arsenic is 15 micrograms per kg of body weight (4), so someone who is 150 pounds could theoretically consume one milligram per week without seeing any negative side effects, if their estimates are correct. Although you would not push against this theoretical upper limit by eating most sea vegetables, you could easily surpass it if you consumed hijiki on a regular basis, even if in fairly small amounts. In Japan, researchers followed a volunteer who agreed to consume 330 grams of hijiki (869 micrograms of inorganic arsenic), which is around the upper limit the experts from the WHO suggest as reasonable. Although he did not suffer any overt symptoms, they found that his urinary excretions were comparable to someone with arsenic poisoning (5). If you'd like to avoid arsenic poisoning, you should certainly avoid hijiki. Other seas vegetables have far lower amounts of inorganic arsenic which you could eat in small quantities without exceeding the above recommendations. Whether or not smaller quantities of arsenic may be harmful over the long term is a question which we lack enough data on to come to any firm conclusions. My preference is to err on the side of caution. Two more heavy metals you'd be smart to avoid are lead and cadmium. Unfortunately, these have also been dumped in our oceans, and edible seaweeds now contain them in significant quantities. In the chart below I list the range of lead and cadmium found in 112 samples of edible seaweeds. The consequences of being poisoned by these heavy metals are not pleasant. Symptoms of acute lead exposure include insomnia, delirium, declines in mental function, tremors, hallucinations, convulsions, and memory loss. Cadmium poisoning leads to liver and kidney failure, bone softening, and other problems. Most of the samples of spirulina and some samples of red and brown seaweed exceed national and international legal limits set for lead. A large number of the samples exceeded the legal limits for cadmium content in some countries (2). Seaweeds are generally considered a good source of Iodine, but too much is as bad as too little. Hyperthyroidism and other problems often result from too much intake of iodine-rich sea vegetables. In the United States, the tolerable Upper Intake Level (UL) of Iodine for adults is suggested to be 1,100 mcg (1.1 mg) per day (8). Kelp (kombu) and paddleweed (not widely available) are high enough in iodine content that you could cause significant damage to your thyroid if you consumed them regularly. Hijiki and Arame could be a concern if consumed in high enough quantities. There are case studies of people giving themselves hyperthyroidism by drinking kelp tea, as well as a number of women harming their babies by drinking kelp soup (supposedly consumed to promote breast milk production) (7, 9). One vegan was disqualified from a study of iodine levels in vegans because he'd been eating kelp and his levels were dangerously high (10). Confused? Want The Right Information About Healthy Raw Food Diets? Seaweeds of all type tend to have tons of salt, which isn't surprising given that they're from the sea. Personally, I don't like to eat foods that make me thirsty, which is an indication that they're dehydrating. All that salt content is also harming you in other ways and causing water retention. It is possible to remove some of the salt via soaking, but my experience is that most raw foodists eat it dried, and don't want to wash it at all. 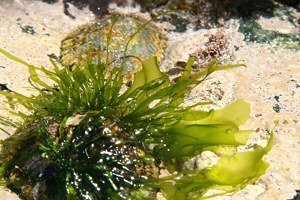 I started eating a vegan diet for health reasons, but moral vegetarians and vegans are often under the false assumption that seaweeds are plants. This is not the case. Seaweeds are classified as protists, which are neither plant nor animal, but possess characteristics of both. How important this is will vary depending on your beliefs. Some species of sea vegetables probably would be ok to consume if we lived in a world with clean oceans. Unfortunately, this is not the case, and it looks unlikely that it will be again in the near future. As it stands, seaweeds are polluted, although the level of pollution certainly varies greatly from species to species, and batch to batch. At the very least, no one should be consuming kelp, hijiki, or paddleweed. Although still polluted, the other edible species may or may not be dangerous depending on what you believe about low level intake of toxic food. Personally, I'm not comfortable with taking in low levels of poison on a regular basis, and choose not to consume seaweed. Learn how seaweed fits in among the your food choices. 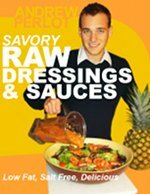 How to eat a healthy raw food diet that will revolutionize your body and energy levels. 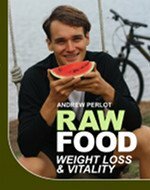 Lose weight with Raw Food Weight Loss And Vitality. 3) WHO. Environmental Health Criteria No 18: Arsenic. Geneva: WHO, 1981:43-102. 6) Teas, J. Et al. Variability of iodine content in common commercially available edible seaweeds. Thyroid. 2004 Oct;14(10):836-41. 8) United States National Research Council (2000). Dietary Reference Intakes for Vitamin A, Vitamin K, Arsenic, Boron, Chromium, Copper, Iodine, Iron, Manganese, Molybdenum, Nickel, Silicon, Vanadium, and Zinc. National Academies Press. pp. 258–259. 9) Emder PJ, et al. Iodine-induced neonatal hypothyroidism secondary to maternal seaweed consumption: a common practice in some Asian cultures to promote breast milk supply. J Paediatr Child Health. 2011 Oct;47(10):750-2. doi: 10.1111/j.1440-1754.2010.01972.x. Epub 2011 Jan 31. 10) Leung AM, Lamar A, He X, Braverman LE, Pearce EN. Iodine Status and Thyroid Function of Boston-Area Vegetarians and Vegans. J Clin Endocrinol Metab. 2011 May 25.